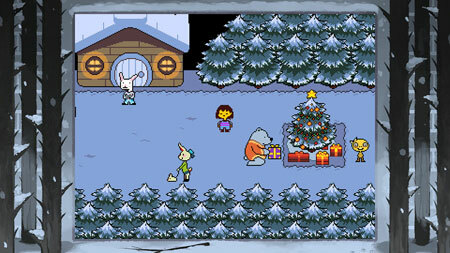 Undertale is the world famous indie RPG from 8-4, Ltd. Fall into the underworld and explore a hilarious and heartwarming world full of dangerous monsters. Date a skeleton, dance with a robot, cook with a fishwoman or destroy everyone where they stand. The future is yours to determine. This entry was posted in Nintendo Games, PS4 Games, Walkthrough and tagged Undertale Cheats, Undertale Game, Undertale Gameplay, Undertale Guide, Undertale Hints, Undertale Review, Undertale Solutions, Undertale Strategy, Undertale Tips, Undertale Walkthrough by Marvin. Bookmark the permalink.